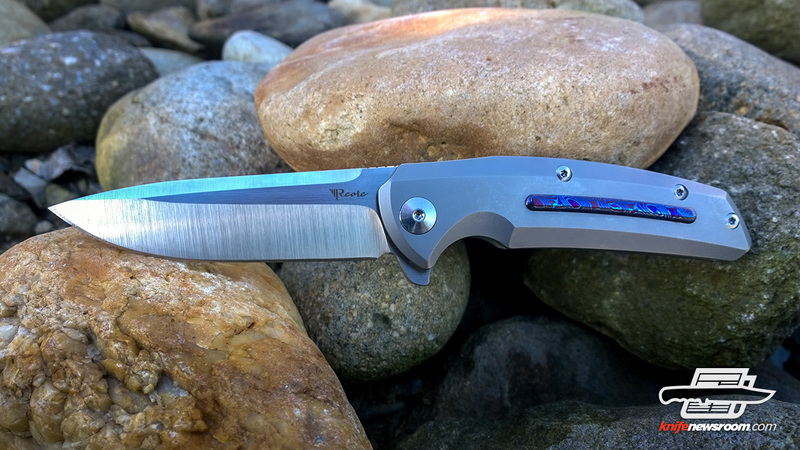 If you weren’t looking, you might have missed the Reate Knives booth at Blade Show 2016. The 10×10 booth was tucked in a middle row with only a small banner bearing the company logo. 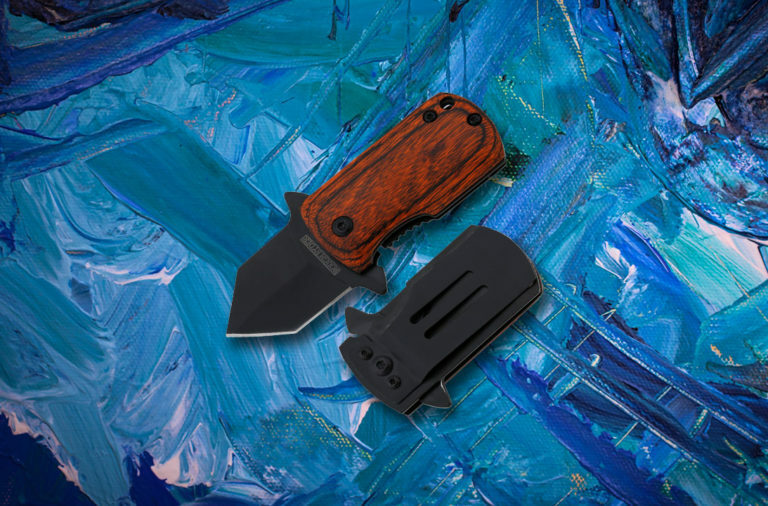 If you did, you missed an exquisite collection of high quality knives made from the highest quality materials – titanium, CTS-204P steel, and Mokuti just to mention a few. That’s where we were able to speak (through a translator) with owner, David Deng, who was gracious enough to give us a few minutes and the brand new, Reate Knives Epoch. 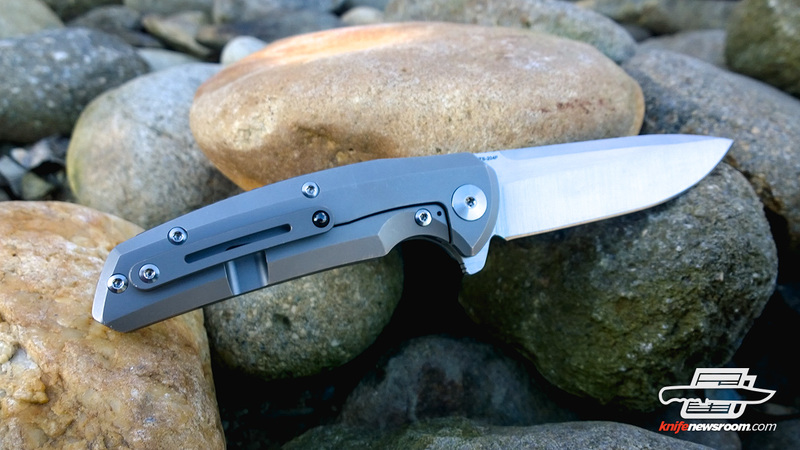 When we asked Mr. Deng who carried a Reate knife, he told us “All kinds. 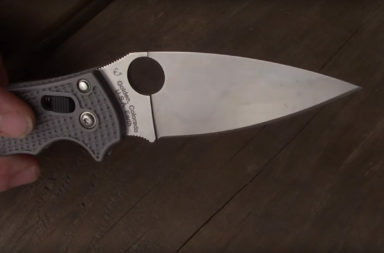 From gentleman all the way to working knives.” The key to every Reate knife, he tells us, is that “quality is always the top priority.” It shows. 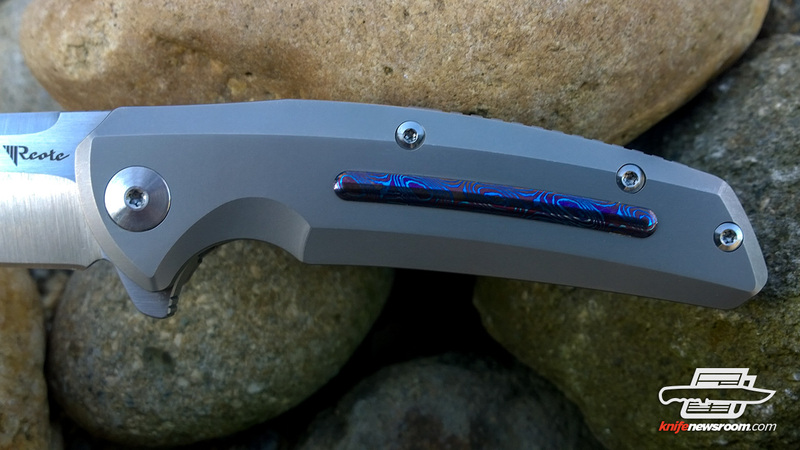 The new Epoch is clearly a stunner with its Mokuti (titanium damascus) inlay and its precise blade grind. “Our goal is to be the best in world,” Mr. Deng says with arms folded and a smile on his face. 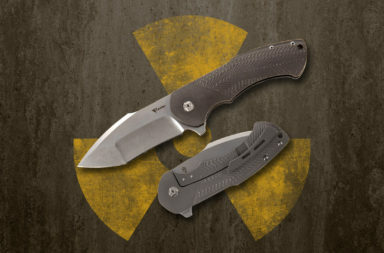 And while Reate may not quite be there yet, it’s clear that it’s definitely on its way. To get a good feel for the Epoch, we carried it for a week. 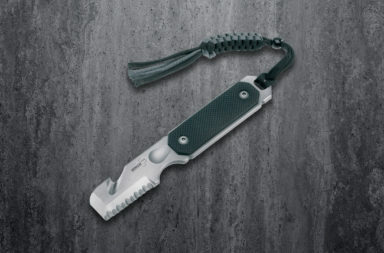 It’s both beautiful and robust – the weight of the steel and titanium of this knife just feels good in the pocket. 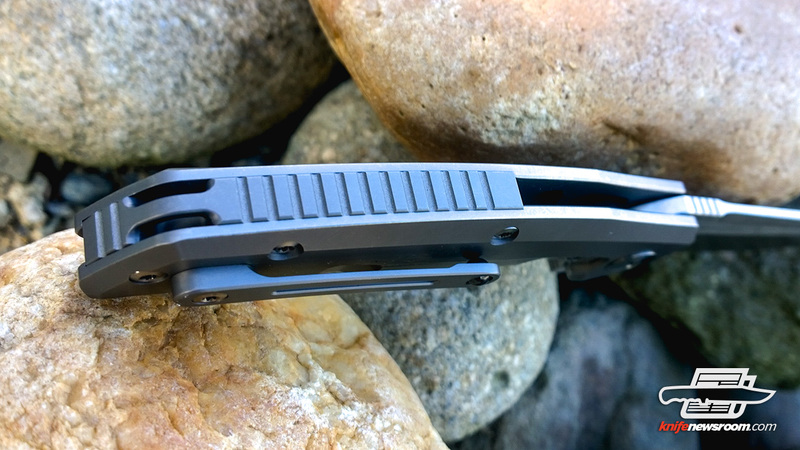 The pocket clip is designed for tip up carry which makes it easy to pull and open. The one-handed action is crisp and delightful. The multi-row ceramic ball-bearing system makes the action smooth as glass, and we had no problems at all one-handing it from pocket to open and locked. and homogeneously fine carbide and grain size distribution, and when coupled with the use of molten metal filtration, results in improved cleanliness and toughness compared to conventionally cast and wrought processed material. CTS 204P alloy’s uniform microstructure, fine carbide distribution, cleanliness and high chromium content, is responsible for the material’s excellent combination of wear resistance, toughness, polishability and corrosion resistance. Moku Ti is a mixture of two Titanium alloys–CP and 6AL4V. When anodized, they yield two colors. This creates a gorgeous deep purple and electric blue damscus pattern that changes as it is turned in the light. 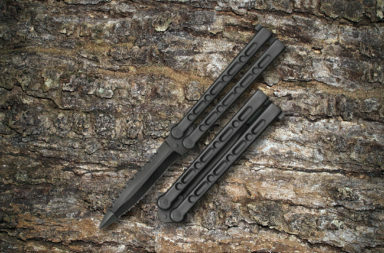 The Epoch features a gorgeous bit of Mokuti inlay. 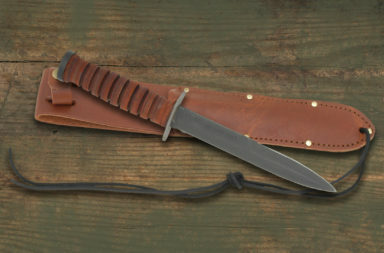 As the final process for a blade, edging has a great effect on the performance of the knife. Normally, edging is created on a high-speed grinding wheel or grinding belt, which produces a very high temperature. Without a cooling system, the temperature on the edge goes up instantly to hundreds of degrees centigrade. 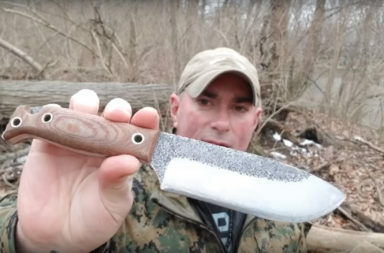 When it gets hotter, it burns and leaves heat marks on the blade. Tempering or even annealing can happen on parts of the edge where the temperature increased rapidly. 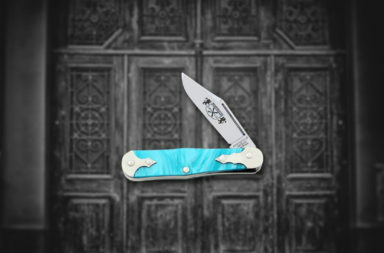 It actually softens the blade and lower the overall blade hardness and durability. 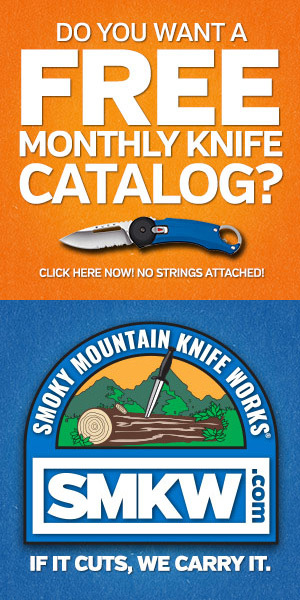 That’s why some knives pass the hardness standard test but easily get worn in actual use. Reate Knives uses a freeze edging technique. During the grinding process, the temperature on the edge of the blade is controlled to a certain level of degree, which helps retain the proper hardness after the heat treatment. 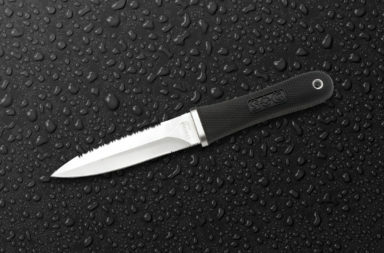 This ensures and improves accurate sharpness and durability, the material performs better than other methods. 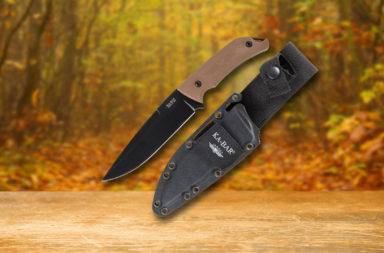 Correction: For some reason we had the term “M390” in our original notes about this item. 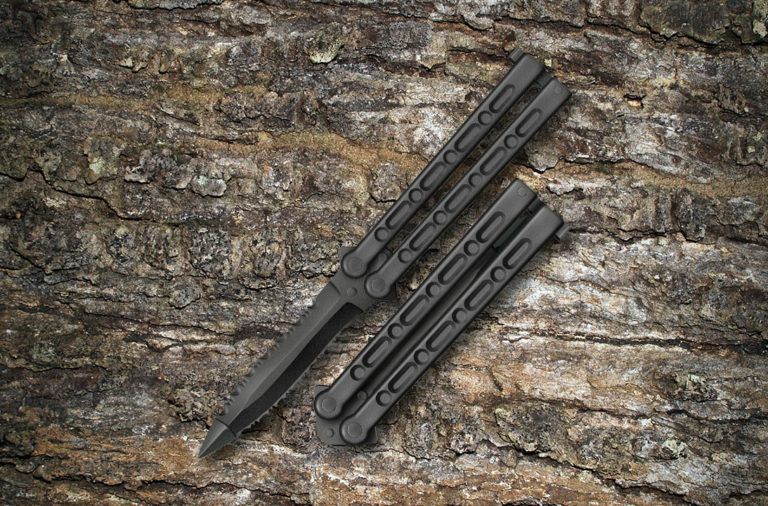 This item is not related to M390 and has been edited to reflect that. 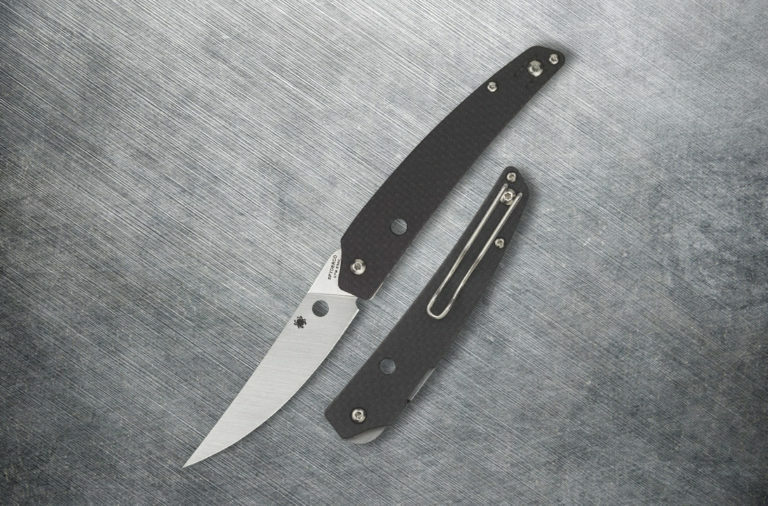 The new Reate Knives Epoch M390 is an exquisite modern folder with all of the bells and whistles. The materials and craftsmanship are of the highest quality. The only are we were just slightly critical was in the ease of opening. 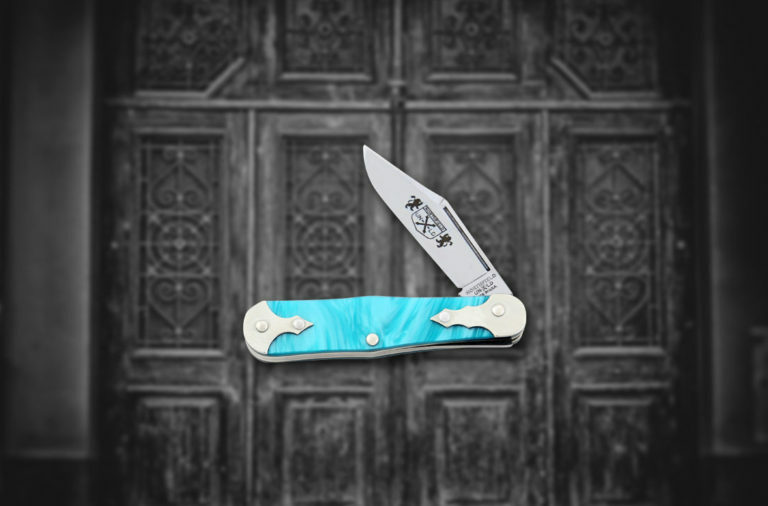 While the action was very smooth and the lock was superb, if the flipper is gripped at a poor angle, the blade sometimes does not move instantly. 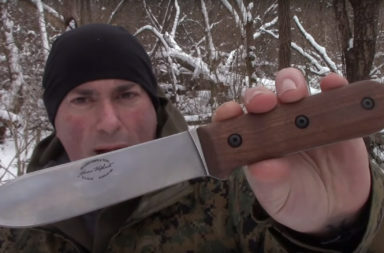 Overall this is an excellent knife (beyond excellent really).